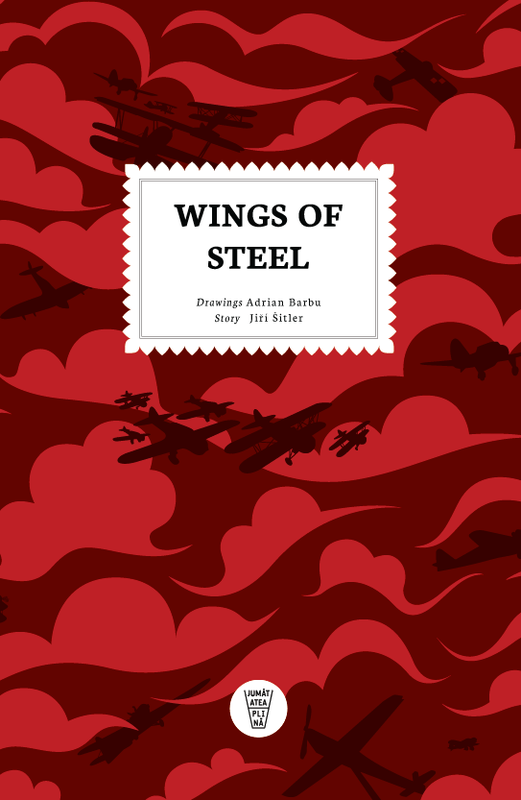 A comic about the red skies of WWII and a historical journey in which Romania and the Czech republic were united for a while by steel wings. The life of Czech pilot Josef Balejka is a true adventure, almost incredible but just as real. Elite pilot, refugee, prisoner, runaway, war veteran, vagrant, Balejka was carried by the vortex of events throughout Europe. Wings of steel is the second volume - following Mickey pe Dunare, which won an award in 2014 at the competition The most beautiful books - of an ongoing collection: Czech-Romanian relations in comics. Adrian Barbu is probably the most important war comics author in the country, founding member of Comics Club Cluj, has published in Australia, the US, but only now is an album of his available in Romania.